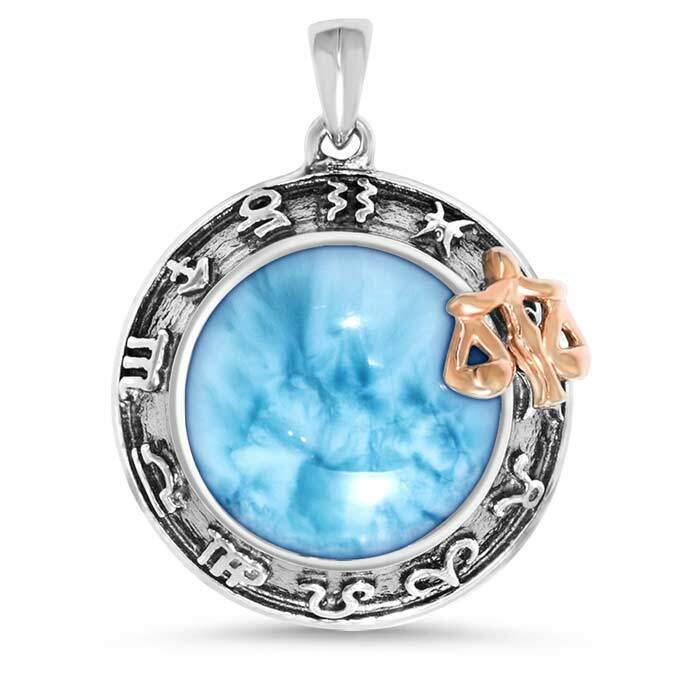 Libra, you simply deserve our gorgeous Zodiac pendant! Just for you, we placed a rose gold set of scales atop a gleaming dome of larimar gemstone. Below, all twelve signs, etched in rich oxidized sterling silver, circle around, in perfect balance and harmony. Stunning! Product Details: 12mm larimar gemstone with rose gold and sterling silver. Overall size is 21mm round. Comes with an adjustable 21” sterling silver chain with an easy, sliding mechanism and lobster clasp that you can set to the perfect length for your look!